This page contains all the previous blogs I made about centrally-located Bangkok Hotels for easy referencing in the future. I have made a small reputation of myself giving tips and recommendations to first-time (and repeat) visitors to one of my favorite destinations, Bangkok. People frequenting sites like tripadvisor.com and asia-web direct forums have benefitted a lot from my well-earned experiences regarding the Thai capital for well over the past decade. So I think it’s high time that I share the same in my own blog, with a few tweaks here & there to make things more fresh and personal. Here goes! Always pick a hotel located close to the skytrain! In a city like Bangkok where the traffic always gets as bad as Manila, you don’t want to spend your time cursing the endless bumper-to-bumper gridlocks. You wouldn’t want to be at the mercy of taxi drivers, either. Local transports are plenty, but if you don’t speak the language, there will always be the inconvenience of taking the right bus. Tuk-tuks, on the other hand, should not be considered a default mode of transportation. It is very touristy to ride one but no more than twice in a single trip. The Skytrain will help in navigating your way around – quickly and painlessly, that is. Siam Central is the Skytrain’s main station where all its routes converge. And since this is located right smack in the middle of Siam Square, this is the area you might want to consider as your base during a brief 3-5 day stay. This area can stretch from the MBK Shopping Centre all the way to the Central Chitlom (see map below.) There is an elevated walkway connecting pedestrians in between so accomodations around the vicinity are always safe bets. There are so many malls here that the true-blue shopaholic will find heaven in checking out Siam Paragon, Siam Discovery, Central World, Gaysorn Plaza, Amarin, MBK and the small shopping streets inside Siam Square itself. For travellers who fancy high-end accomodations, there will always be Intercontinental Bangkok, Centara Grand World and Grand Hyatt Erawan to consider. Staying in these properties will set you back at least US$250++ a night for a twin sharing room. If you don’t want to splurge that much but still want to experience some luxury, you can do no wrong with Novotel Siam Square, Siam@Siam Design Hotel, Holiday Inn Bangkok and Pathumwan Princesss (right beside MBK) where a room can be had starting at US$150++ (with breakfast included if you book with online hotel providers like Asiarooms or Sawadee.com.) The list doesn’t end there, though. Should your budget for a hotel room be anywhere in the range of US$80-120++, take a pick between Arnoma and Courtyard by Marriott Bangkok. The walk to the skytrain from either of the two may be a tad longer but your convenience won’t be signficantly compromised. Let’s not forget the really budget-conscious tourists. There are two inns that emphasize on clean rooms in a safe environment here – Krit Thai Mansion and Golden House VIP (not to be confused with the similarly-named establishment in Sukhumvit 50 so look at the image below to know that you’re booking the right one.) The former is just a kitty corner away from the National Stadium station attached to MBK, while the latter is a stone’s throw from the stairs of Chitlom Station. These are popular choices for those looking for US$50-below accomodations. No frills here, and the rooms are a lot fewer so better book early to secure one in time for your vacation. Google them (or click the link on their names above) and deal directly (by email) for guaranteed reservations. There are still other options in this area like staying in serviced apartments like Grande Centrepoint Ratchadamri or Bliston Suwan Park View. Families will love the spaciousness and house-like ambience complete with a kitchen and living room. Prices here can go as low as US$70++ for a studio to a US$100++ 1-BR or a US$150++ 2-BR unit. Do keep in mind, though, that not all of the services and facilities available in a typical hotel – like varied restaurant options or a readily-available tour desk – can be found here. Peace and quiet is at a premium, nonetheless. Pratunam (at least 20-25 minutes by foot from Siam Square) is also a popular area where hotels can be reserved at lower prices but since the skytrain is a relatively long trek from here, I purposedly did not include my recommendations. But if you insist, I would shortlist the likes of Baiyoke Sky, Indra Regent and Grand Diamond Suites for your consideration. Stay tuned for Part 2 of this blog. Next stop….Silom! The first part of this blog focused on the Siam Square area which I recommended as the best location for a hotel when vacationing in Bangkok. I’d also like to add that this area is the best compromise if you want to stay reasonably close to the Chao Phya riverside area without getting stuck in the fringes. Just hop into the skytrain and get off after 3 stops. This area actually used to be the most popular in downtown Bangkok up until Siam Square became a shoppers’ paradise and one-stop amusement place for families. Okay, let’s start with the expensive hotel choices here. Top of the list would be Dusit Thani, Pan Pacific, Le Bua at State Tower and Sofitel Silom. Among the four, Le Bua is the most opulent, but it is situated at the far end of Silom leading to the riverside area. The walk to the skytrain from here is a minimum of 12 minutes in brisk mode. Alternatively, Dusit Thani and Pan Pacific are the most practical because the skytrain and subway stations are right in front of the hotel. These two are also the closest to the night market, night life and red-light district. Sofitel Silom is somewhere in between the aforementioned. It is right in the middle of Silom, a bit farther from the Chong Nonsi station and the night market, but offers competitive rates and service. Price range for these properties is between US$120-200 for a Superior room. Narai Hotel in the middle of Silom Rd. How about the mid-range spenders willing to shell out at least US$70-100 a night? Well, you have several possibilities. First off my head are Montien, Narai, Silom Serene, Holiday Inn Silom Plaza and Saladang Place. All of the five are old and have seen better days. Maintenance and renovations, though, have restored them to some points of their old glories. Montien is on Surawong and is practically at the doorstep of Patpong, nearer to the subway than the skytrain. Narai Hotel, while in the middle of Silom and requiring a longer walk to the skytrain, is actually the best value for money given its reasonable price with abundant breakfast buffet included. It is Arnoma’s counterpart this side of downtown Bangkok. I would put Holiday Inn Silom Plaza in the same vein, except that its farther location demands a trickier access to the skytrain from a different direction. Silom Serene, on the other hand, is an independently-owned hotel which offers good service in quieter surroundings. Lastly, Saladang Place is originally a serviced residence for expats but has long been converted to a hotel-like establishment with bigger rooms and an excellent location very close to the skytrain, subway and the night market. If you get your high staying in boutique hotels – newer and more personalized attention to its guests – and if paying at least US$100-150/night suits you well, then the likes of FuramaXclusive Sathorn, Siri Sathorn, I-Residence, Baan Saladaeng, Luxx and Saladaeng Colonnade might just float your boat. Personally, FuramaXclusive Sathorn and I-Residence are my best bets in this league. They are almost brand new and the rooms are very tasteful, aside from giving frequent promotional rates all year-round. Luxx is also new, but I find the rooms so small. Over-all, it is not proportionate to the rates they charge. Baan Saladaeng’s main selling point is their unique rooms which have different themes to suit your taste and preference. Here’s a tip. If breakfast is your most important meal of the day, then take note that the buffet spread in boutique establishments is comparatively limited. Lastly, a selection of hotels for those on a tight budget (below US$50 per night) includes The Inn Saladaeng, Unico Grande Silom, Silom Village Inn, Wall Street Inn and Regent Silom Serviced Apartment. My first pick here would be The Inn Saladaeng – simple, unpretentious and very well-situated close to everything. Regent Silom is not the serviced apartment you might have in mind because it looks and feels more like an inn, but it is surrounded by all sorts of Bangkok night life in the area – which also means that the place can get noisy especially during happy hours all the way to midnight. That just about sums it up for Silom. If you end up choosing this location for your hotel stay, then be ready to enjoy a busier, noisier, more crowded and a bit seedier (a lot seedier if you stay in smaller inns inside Patpong or around Surawong) environment. There will always be tourists who enjoy this atmosphere to the max. Onward to the third and last part of this blog….Sukhumvit! Watch out for it! I have been following this site for sometime. I remember in 2013 you gave me a suggestion to try Sacha Uno and we have been going there every year. Last year we went there, they were upgrading their place and it was a little hassle. So this year as every year, I am coming back to Bangkok again :). My wife, daughter and me love T21, their food court and everything about it. We have been to the zoo, water cruise, mbk, chatutak, tops supermarket, siam square..
Hi norman, me and my fiancee will having our honeymoon at Bangkok, we are looking for a Hotel in a place away from the night life or red light district environment. A place where there will also be easy access to skytrain and to get around with sight seeing. 3-4* for 3 nights, we’ll be there Feb 2015. What would you suggest? Thank you. Thank you, after hunting most hotels and area reviews, we now prefer to stay somewhere in chinatown or riverside. I think the view at riverside will be amazing but just as the location of chinatown will be too. What would you suggest? were now just opting for a 3-4* hotel, preferably with affordable price and good service of course. Thank you so much. Any reasons for the pick? Hi Norman! I am going to Bangkok w/ my family middle of September. Where is the best place to stay in Sukhumvit, near the BTS and Skytrain, clean rooms w/ bfast package and near a shopping mall w/ foodcourts? And also, can you please give me directions how to get there coming from the airport? Thank you so much! also, which is better located (more malls, restos and a Swensen store) – city point hotel or sacha’s uno? Thanks so much! Both have good locations. But Sacha’s Hotel Uno is more convenient to Terminal 21 where a Swensen Store is located. Sacha’s Hotel Uno is slightly more convenient than City Point. But I can take any of the two. I would go Sacha’s Hotel Uno or The Key Bangkok or City Lodge Soi 19. All three are near the skytrain and subway. Terminal 21 is a stone’s throw away with its food court. From the airport, take the metered taxis outside Exits 2 and 3 (which you will find after getting your luggages). Join the queue at the counter, tell them the hotel where you want to go and wait for the next available cab to bring you there. Hi Norman! Can you please give me directions from the airport going to Hotel Sacha Uno? Which train to take etc? Thank you!! I would advise you to take the taxi from the airport. Asoke junction is not the most convenient for the airport link. Hi Norman! Thank you so, so much! Sacha’s Hotel Uno is indeed most conveniently located and is near restaurants and malls such as Robinson’s Terminal 21. The beds are just like in Marriott Hotel and my family just loved their rainshower. Your suggestions are all correct and it’s like getting it from a brother. You’ve made our family vacay easy breezy. Once again, thank you!! I am First Time Visit to bangkok with my family. abt ( 10ppl include me) . have any suggestion which hotel is more budget and location is near Trail and shopping area. I am planning a trip to Thailand from 7-16 May 2014. I am travelling with my son of 13 years. He is really looking forward for a good holiday. I am confused about the hotel bookings. I am strict Indian vegetarian. I have checked host of hotels on trip advisor and it has left me confusing. Can you suggest a good 4 star hotel which has a good spread of vegetarian breakfast. ( I intended on staying at holiday inn express and amari watergate….both hardly have veg. options.). Most of the other hotels checked on trip advisor are either really old properties, unkempt or with bad service. i want to go for snorkeling, scuba diving and water sport activities. Is Pattaya or Koh Samui a better choice. Kindly suggest a good 5 star property for these places. Or if you can suggest some other safe place for a day trip from Bangkok for these activities. ( I can save on my expenses and time if i plan to go to Koh Samui….. the flight rates are really high from India). Should I include Chiang Mai or any other off beaten place in the itinerary……. somewhere my son can have a good time. breakfast, but all the big chains have sufficient non-meat options like Intercontinental, Grand Hyatt Erawan and Marriot. But if you prefer a star lower, Holiday Inn Bangkok on Chitlom is fine or Four Points by Sheraton on Sukhumvit. Thanks Norman! I have booked myself in Grand Suhkumvit Soi 6. Planning to go to Hua Him for 3 nights. Will be staying there at Anantara resort. Can do the snorkeling there. Will also be going to Pattaya for a day trip. Hope have made a good choice. What will be cheapest taxi service for Hua Him from the airport? Also will there be any jelly fish threat in the sea? I will be venturing out in the sea for the first time in my life. Are there any sale or discounts going on for the holidays……from 10-15 May. Best bet would be to bargain with the taxi stand at Arrivals area. These are safe. Sales are happening all the time. The biggest sales happen in July-August, though. As for jelly fish, it’d be best to consult the lifeguards on duty. we are going to hong kong for 5 days , which is a good hotel to stay inn under $160.00 a night with breakfast. We, a family of 2 adult n 1 child 5 yo will visit BKK fr 31/5- 4/6. Now looking for a decent 3 or 4 star hotel preferably away from red light district but near to shopping area. Any suggestion? Hi Kay! How about checking out Holiday Inn Express Siam Bangkok? It’s very near MBK and the skytrain. The rooms tend to be smallish but functional. On Sukhumvit, there is Sacha’s Hotel Uno which is near both the skytrain and the subway and a stone’s throw from Terminal 21. But if you want to be more central than either, Arnoma Hotel is always a safe bet. Thanks Norman! Will definitely check out the hotels u suggested. Really appreciate it! Hi Norman! What is a betterhotel Baiyoke sky or The berkeley? By better i mean a hotel near the shopping area and nearest to the train station. Thank you very much! Hi norman! Can you recommend a hotel for first timer in bangkok which is close to tourist attractions. Or maybe a hotel near in bts which is affordable and have a good buffet breakfast thanks! Novotel Siam Square, Centrepoint Terminal 21, Holiday Inn Bangkok on Chitlom Road, Vie Hotel, Sivatel and Novotel Fenix Ploenchit. Hey Norman, Great hotel list huh! I just wonder when I went to Bangkok in this Feb, I booked “HOTEL DE BANGKOK” and It was one of the closest Hotel to Pratunam Market Plus BTS Phaya Thai, Victory Monument. Also do anyone every visited KING POWER near it? Its great place for shop branded items. 1- eastrin grand hotel on 33/1 south sathorn road yanawa sathorn or majestic grande hotel on 12 sukhumvit soi bangkok . we want to be close to everything shopping & night life. Accor Hotels is having a sale. If you had the choice, which hotel would you stay? Novotel Ploenchit at $68 per night no breakfast or Grand Sukhumvit by Accor at $50 per night no breakfast or Aetas Lumpini at $55 per night with breakfast but not an accor hotel. Which is better for you in terms of accessibility to Ploenchit Station and over all atmosphere – Arcadia Suites or Aetas Bangkok? Are both really a long walk going to the Skytrain? Also which would you prefer – Legacy Express or On8 Sukhumvit? Thank you for such a quick reply and for giving a detailed information! I will keep Arcadia and On8 on top of my list. Actually, i am also considering Arnoma Hotel for its fantastic location. I am just concerned with the reviews that the rooms are very old already including the furnishings. Should i be worried with the condition of the rooms of Arnoma and is it really unbearable already to stay there or the reviews are a little exaggerated because of high expectations? Im travelling to bangkok on 24-28th November, I am in the midst of booking hotel, Im trying to avoid the protest rallies area, can you advise me if the following hotel is ok to book, or is too near to the protest rallis. Do keep in mind that Citadines properties are inside Sois and may require a hike to the sky train. Be that as it may, consider the ones on 16 and 23. Rajamangla Stadium is in the Ramkamhaeng area which is more of a localized university district. It is very far from Baiyoke and the shopping area. But hotels near to it on foot or a good hike are Bangkok Inter Place, Chaleena Hotel and JL Bangkok. Be aware that it is a part of the city much nearer to the airport than the touristy parts. Hi Norman, I’m so glad I found this site and hope to seek you advice. I’ll be travelling with my family (3 adults + 2 children) but cannot decide the place to stay where I wish we can all squeeze into a room/apartment at a good location yet not too expensive. As it had been years since I last visited Bangkok (before the malls were there), I am lost, not knowing which location to choose. 1. Pratunam Princess – Kindly offered us the family room, the downside is it is a little expensive and I do not know if the location is good. 2. Novotel Platinum – A little cheaper than Pratunam Princess but we will be separated into 2 rooms. I heard this hotel is just above the Platinum Mall. 3. Berkeley Hotel – Offered one room for all of us and is really cheap. Is this a good option? Thank you very much for any advice you can give. 1) Pathumwan Princess – I assumed you meant Pathumwan Princess and not the non-existent Pratunam Princess. This is really more expensive because of the excellent location close to the skytrain and being attached to MBK. Rooms are nice as well. Hotel dining can be expensive, but if breakfast is included (for everyone in the group) in the rate, then go for it. 2) Novotel Platinum because it is the most convenient in location in Pratunam area based from my experience. Skytrain is at least a 15 minute walk away though and Platinum Mall (where the food court is cheap and the dishes yummy) is just outside the lobby. 3) Berkeley Hotel because it still diagonally across the Novotel Platinum area (which means a slightly longer walking time to the skytrain) but has a shopping center in its midst as well. Hi Norman. I will be spending New Year’s Eve in Bangkok and will be staying at Aphrodite Inn. What are the happenings in the area. Are the restaurants open till late? Lots of shopping till late. If the restaurants are closed, the street food is not. And they are yummy! Awesome Blog you have here and I appreaciate you have been patiently replying us from 2009 till now !.. Thank you so much.. god bless good souls as yourself… !. I am arriving to bangkok suvarnabhumi airport on the 6th October and will be there for 2days 3nights. My plan is to then travel down using the Thai Rail service to Satun or Arau(Malaysia) to head to Langkawi. I got the ticket to Bangkok by noon and that is the only thing confirmed right now. No hotels booked yet :(.. The Thai Rail email correspondance is not replying that efficiently.. online booking for trains have been taken down.. Some people recommend http://www.thailandtrainticket.com as a reliable agent to process. I have sent them an email and hoping to get a reply soon… if you have any tips here i would appreciate..
Now I am looking for hotels which are like mushrooms in Bangkok !. Your post basically helped me to look at my trip better… so three parts.. siam/silom/sukhumvit.. I need to get near a skytrain… I am taking this trip with my 3yr daughter and my wife.. We need to eat some good food… shopping for nice/cheap clothes for our daughter.. hangout at shopping centers.. a nice leg massage.. nice comfortable medium priced hotels… and we must be able to move on to the Hua Lamphong Station to take their train… So any recommendations..
Just dropping in to convey my thanks. I stayed in Baiyoke Sky the first night. Quite a run down hotel, cant move out much as the train is quite a walk away. The buffet was good though and the view from the restaurant was pretty much amazing. I went on to stay in Sacha’s Hotel Uno. At first I was quite disappointed with the look but quickly learn that it is an awesome place to stay in. The people are super friendly, the rooms are much more modern then Baiyoke. There is a bunch of massages spa just next to it, we got our legs pampered for a small fraction of the price. I must tell about terminal 21, the shopping center just at the corner of the street, we enjoyed the cheap food court there. I like the best was the intersecting BTS and MRT which can take us pretty much everywhere. All in all, i give it a 4/5 stars and will definitely come back to Sacha’s Hotel Uno. Thanks again Normal for letting us know about this small Jewel. Very informative blog you have right here! I read that Tune Hotel, Asoke is quite near to the train station. Is it safe for a female solo traveler to travel around the vicinity at night? How;s nightlife around that area? Bangkok is a nice place to have a vacation too. Clean surroundings and polite individuals are everywhere. These hotels so far are doing great towards their service and having nice views. 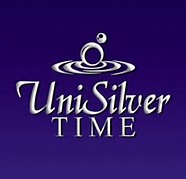 I’m a fan, and your site is one of the first stop I check out whenever the Miss U pageants are coming up. I appreciated your December posts (you’ve got to be one of the hardest bloggers around!) and you definitely elevated my knowledge of the contestants, especially our homegirl, Janine. I flew in to Las Vegas to watch the show and she did not disappoint. I’m thinking of taking my partner to Bangkok for 5 days in December. Although I have done some research, it always helps to get thoughts from a well-informed local. Would you kindly share your thoughts on the following? Accomodations: What are your thoughts on The Peninsula vs Hansar? I always prefer a newer hotel, but location is also a big consideration. Sites to see: Would 5 days be too long to spend in Bangkok, or is a 2-day Bangkok, 3-day Phuket a better split of time? I’ve never been to Bangkok so your thoughts would be most appreciated. Dante, thanks for the compliment. Peninsula is fab, but location can be ferry-dependent especially during traffic hours (which is most of the time. LOL!). Hansar is a lot newer, more conveniently located and right up my alley in terms of modern facilities and spacious units. The choice is obvious between the two. 5 days in Bangkok is never too long for me. Splitting the number of days with Phuket will leave you wanting for more of the City of Smiles. But then again, I’m an urban shopping tourist. If you can extend your stay to 7 days, then a 4/3 split would be fine. Hi! Are you familiar with The Berkeley Hotel Pratunam? Its so nice of you to reply to your readers. Anyway, my family and I are at staying at Renaissance Bangkok Ratchaprasong for our upcoming trip and I was wondering how I could get to Chatuchak? Thank you for your informative blog! I am sure that many of us find it really helpful/useful when it comes to the planning of our trip to Bangkok. I will like to ask for advice regarding hotel accommodation. I have difficulty deciding the hotel that I should book for my family. I am deciding among all the service apartments/hotels by the Centre Point group. Do you have any advice on it? It should not be near any red light district because I am traveling with my parents and they like the environment to be safe. The rooms should be clean and location should be convenient for traveling. If you have recommendations for other hotels other than those under the centre point group, please feel free to advise too. 1) Grande Centrepoint Ratchadamri – close to two skytrain stations and with elegant units to offer. 2) Grande Centrepoint Terminal 21 – because it’s the only one connected to my preferred shopping mall and a skytrain station; also the newest in the chain. 3) Centrepoint Wireless Road – also close to the skytrain. I also like the area which is the city’s embassy row. Other than Centrepoint, I also love Urbana Langsuan because of the enormous and tasteful units, even if it can be a good hike to the nearest skytrain station. My family and I (5 adults) will be traveling to Bangkok this coming June. I am looking through all the hotels available but is quite torn as to which hotel I should choose. I was thinking that it will be difficult to travel in taxi with 5 of us and hence, a hotel near bts or mrt will be great. We might be traveling to the hotel from the airport by bts or mrt as well since I suppose it will be better than getting 2 separate taxi. Can you recommend some hotels for us? My parents will prefer a safe and clean hotel. I think convenience in traveling around will be one of my considerations too and therefore it should be nearer to shopping areas. Since your group will be booking at least two rooms, I will give two possible options conveniently located near or around the shopping areas and the sky train. Arnoma Hotel is one, followed by the relatively brand new ibis Bangkok Siam Hotel. They are on two different areas (Rajadamri and MBK, respectively) but close to most anything. If you prefer the Pratunam vicinity, keep in mind that the sky train will be quite a hike from whichever hotel you choose. But I recommend Novotel Platinum here. my boyfriend and I are traveling for the first time in Bangkok on the 1st week of June. What’s the weather like? 1) What hotels can you suggest? We actually prefer a hotel located within Sukhumvit area.. also, we’re on a budget but we don’t wanna compromise our room’s cleanliness. I’m actually torn between Manhattan Bangkok or S Sukhumvit Suites Hotel. Or do you have anything else in mind? 2) What are the must-see’s when in Bangkok? like things we shouldn’t miss? Is it practical to go see and ride the elephants? 3) Do you suggest that we get/join a tour or just roam around in BKK ourselves? Had a bad experience with our tour when we went to HK. it’s like everything we do is timed! like when we would stop by a place our tour guide was like “ok, take a pic now coz we’ll leave in 10 mins”..
– Weather in Bkk won’t be as hot during June, but there are days when strong rains come late in the afternoon. – Pick S Sukhumvit Suites. It’s roomier and of course, still new compared to Manhattan. You can also check out Sacha’s Hotel Uno. – Elephant riding in Bangkok is no longer a common sight. You will need to step out of the capital (like Chiang Mai up north) to do that. I recommend you concentrate on the city first. – Bus tours are the same anywhere else. They always follow a strict schedule. What I would suggest is that you do Grand Palace and Chao Phya River on your own. River taxis are aplenty and cheap. If you would like to take a day trip, consider going to Ayutthaya or Kanchanaburi. Thanks for your prompt reply! checking Sacha’s now. Anyway, how about the floating market? SHould we do it on our own too? Hit or miss. That’s way too early for a check-in. But if you want to make sure, pay for the night before or arrange that you pay 50% of the daily rate for a guaranteed check-in. hi Norman — follow up question: we’ll be arriving around midnight in BKK. can we take the airport rail link instead of taxi? what do you recommend? will they still be open? got ourselves a room in Sacha’s Hotel Uno. oh. i see. thank you. also, is At Mind Executive Suites any good? better than Sacha’s? Erika, At Mind Executive Suites is located on Sukhumvit 85 which is already far from center. In fact, it is just one stop away from the end of the Sukhumvit sky train line. The surrounding area is very local. And while the hotel itself is worth a stay, first-time or second-time tourists will have to travel longer than usual just to get to the frequently-visited shopping areas and sights. Sacha’sHotel Uno definitely has the much better location. My friend and I and our mothers (both senior citizens) will be travelling to Bangkok for the first this August (August 23-27). They will arrive on the 23rd at around 12:30am (via Cebu Pacific) and I am arriving on the same day at 4:30am. On the first day, we plan to see the Grand Palace and Siam Niramit; second day to Chatuchak and try the Chao Phraya River Cruise. On the third day, Aug 25th, we will go to Chiang Mai via Airasia and plan to take the 6am flight and back to Bangkok on the 26th. For our Bangkok Accommodation – which one do you recommend best – Bangkok City Hotel, Royal Ivory Nana, Bangkok Loft Inn, or Residence Rajtaevee? (considering our IT, our schedule of arrival and departure to and from the airport with 2 senior citizens). We would appreciate your recommendation. Many thanks. Bangkok Loft Inn would be fine, but it wouldn’t be convenient for Chatuchak. It’s in the Thonburi side already, which is way off-center despite a skytrain station nearby. However, it would be closer to Chao Phya River for the cruise and the river taxis going to Grand Palace. If that’s fine with you, then go for it. Bangkok City Hotel and Residence Rajtaevee would be more manageable going to Chatuchak (with Ratchathewi station nearby), but far from the riverside. Royal Ivory Nana is in the midst of the red light district and your moms might not like it. I will visit Bangkok for the first time with my sis this October. Between Residence Rajtaevee, Bangkok city Hotel and Siam Swana Hotel, which one u recommend the best? I prefer hotel that walking distance to Platinum/pratunam area , Siam Paragon and also BTS. 1) Siam Swana is close to BTS, but a good hike to Platinum (around 12-15 mins) so consider the hot weather. Siam Paragon is just one skytrain station away. 2) Residence Rajtaevee is closer to Platinum, has a short cut by tuktuk to Siam Paragon (free service of hotel) and a 7-minute walk to BTS. 3) Bangkok City Hotel is close to BTS (5-minute walk), Platinum (10-minute walk), but a 15-20 minute walk to Siam Paragon if you dont use the train. Thanks Norman for your prompt response :). BTW, if I want to watch Siam Niramit, How do I get there from Residence Rajtaevee? 1. I heard from my friends that you are not allowed to smuggle 3rd person into a hotel room cause they will charge extra. We will be travelling with total 6 people, but i’ve been searching for hotel within our budget and its not possible to book 3 rooms. we want to stay around siam area since we want to shop at mbk and siam square area. 2. is there any street food around the siam area? can you recommend what to try when we’re in bangkok? Thanks before for your recommendation. Yenny, Thai hotels are quite strict when it comes to extra guests who are staying in a room for two adults (especially the new Ibis because their rooms are small). Unless your 3rd companion is a child, you will end up paying higher which could cost more in the long run. 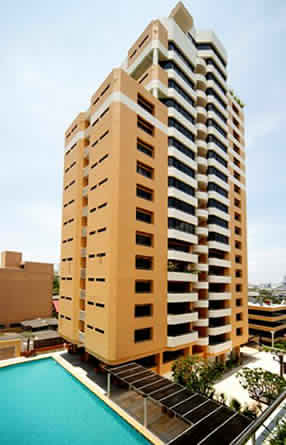 Try Vista Residences at http://vistaresidence.com/en/default.htm or Krit Thai Mansion at http://kritthaimansion.com By the way, both properties are in the same area around MBK. Krit Thai is particularly more reasonable with the skytrain stairs right outside its front door. If your companions are game for it and not too picky, Lub D Bangkok Siam Square ( http://siamsquare.lubd.com/ ) is also a good option with dormitory style rooms that look clean and decent. Very excellent location as well. Oh yes, direct booking is definitely more expensive than with online reservationists. I just shared the websites so you can look at it more clearly. Try checking the rates of sawadee.com on my homepage as well. I use it most of the time. I would like to ask the convenient hotels area sukhomvit since this would be our 1st visit to Bangkok. We would be doing all the touristy bits and some shopping. There are 3 of us. Preferably around USD100 (max). Would appreciate your recommendation. Great tips and write-up btw. Bangkok Apartments services are best Services. The each apartment is designed for the discerning individual with contemporary designs and modern technological conveniences. This is best way to live in the Apartment with all comfort. Hey Norman I found a pretty good price on a family suite at Mac Boutique, do you have any comments on those? Plan on sharing with a mate travelling with me. While I’m not too pleased with some of the feedbacks about the place, the spacious suite should make up for some shortcomings (such as the actual condition of the units compared to what you see in online images). If at any, their big rooms might be relatively better than the rest of their rooms. Location, once more, is convenient. Thank you for this information.There are also a lot of interesting information in this. Majestic Suites is way too exposed on Sukhumvit. And it’s quite old. Any comments on Maxims Inn? Hey Norman do you have any suggestions for hotels in the 1500THB bracket in the Soi 3 to Soi 11 area? One suggestion is Legacy Express Bangkok. It’s right at the corner of Sukhumvit and Soi 1. Rates are within your budget. Another one would be On8 Sukhumvit right at the corner of Soi 8. Their standard rooms go for around THB1500. 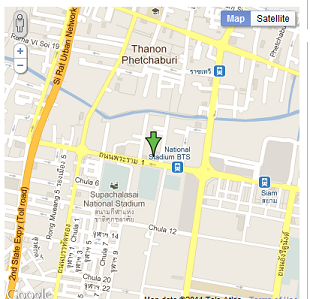 A third option and the cheapest of the three is Royal Express Inn Bkk which is very near the corner of Soi 8 also. Small but relatively brand new. Hey Norman, Long time no contact. I stayed at the Fortuna some years back and although it was ok it was a little tired to say the least. I have read that it has had an upgrade but noone seems to know if it is all rooms or just some. And if some, which ones eg superior or standard. Any clues? Myself and 3 other mates are looking at staying there next Feb for a few days. Hi Norman, first of all i want to say thank you for your very informative reviews. i enjoyed reading your blogs. I just want to ask what can you say about Sivatel Bangkok and Grand Eastin Hotel. I am torn between the two hotels but finally decided on getting Sivatel because of the size. i hope it will turn out fine. Thanks! Thank you for the compliment, Kris. If I were you, I’d choose Sivatel as well because of its more convenient location. Grand Eastin puts you close to the Chao Phya River (which you wouldn’t be doing more than once if ever), but Sathorn is not exactly an exciting area since its dotted with office buildings more than anything else. Good thing you went with the better option. Hi Norman, we are going to BKK on December for a 4day trip and will stay at Holiday Inn Express Siam. We are family with 2 senior citizens. Is Holiday express a good choice for shopping and eating? Plus we really want a place where we can buy BKK Delicacies. Thanks! My cousin is relocating to Bangkok and I’ll be joining him for Xmas. What hotel would you suggest for Xmas Dinner. I’d be more than happy to spend a little extra and was thinking of somewhere overlooking the river perhaps. Thanks Norman for such a quick response. wow! really helpful! will study the hotels in the coming days. we will be going next week. hope we can find one hotel ideal for our preferences and budget. thanks for sharing! Hi! Your blog post is very helpful. Just want to ask if our hotel at The Key Bangkok on Sukhumvit is a good choice even if it’s our first trip to Bangkok, and considering we want to squeeze in both shopping and a bit of sightseeing (temples). Thanks! Four Points Sheraton is relatively closer to Terminal 21 than Park Plaza Sukhumvit. The latter has more luxurious rooms, though. hi norman! i hope you can help. i am comtemplating to stay at holiday inn express or buddaco.. which one is a better option? is holiday inn express far away from platinum mall? and is buddaco far away from the station? Hi Norman. I was already considering places around Sukhumvit Road because per google maps/directions, this would allow me access to the places I need to go to with the least transpo transfers at relatively the same amount of time compared to staying at places that are geographically closer to the offices I’ll be visiting. Your posts above was very helpful. Another question: I noticed that Marvin Suites in S. Sathorn is one of your recommended place to stay. Would this also work as an option for me? The reviews are good and the prices are low. Hi Norman! First off, I just want to say your blog is awesome in that it provides the kind of information that is most useful to any type of traveler. Thank you! I would be traveling to BKK, for the first time, in a couple of weeks to process some documents relating to the registration of my sister’s marriage. I’ll be doing business with the government offices in the Laksi district on Chaeng Watthana Road, the Islamic Center in the Suanluang area, and the Philippine Embassy. I’ll be staying there for a min of 5 to a max of 10 working days. Given the length of stay and the need for access to efficient transpo options, (1) in which area would you suggest I stay, (2) which budget hotels would you recommend (<US$ 35/day), and (3) what activities would you suggest that would allow me to know more of the people and culture of Thailand? My main considerations for lodging are cleanliness, accessibility and safety. Looking forward to your feedback. 🙂 Thanks!!! Sweet of you to reply so soon! Thanks a bunch. Checking your suggestions now. I’ve been scouring the net the last couple of days for info on how best to make the most out my stay in BKK–both in terms of the business I need to get done and the opportunity for touring–and I’ve come close to the ones you’ve just suggested. So glad for the confirmation. While I’ve travel a lot, it’s mostly been for work, thus practically free. So, I’m such a cheapskate when I have to spend for my travels … hahahaha …. Again, thanks for the practical advise. My hotel suggestions to you are based on most of the areas where you will need to do some transactions with. Is Amari Watergate close to any BTS or skytrain? Holiday Inn express I understand is near to Stadium train station. Any other hotels close to BTS or skytrain? Amari Watergate is a good 15 minute walk to either Chitlom or Ratchathewi skytrain stations. The hotels neighbouring these stations are Holiday Inn Bangkok, Intercontinental Bangkok, Asia Hotel, Vie Hotel, Evergreen Place, Renaissance Ratchaprasong, Arnoma and Grand Hyatt Erawan. Keep in mind that both stations are in two different directions perpendicular to the Pratunam area, which is sadly far from any subway station whatsoever. Budacco and Citin are almost equidistant to Baiyoke Sky, although if you look at a map, Budacco seems closer. Budacco is a 10 minute walk to Platinum, a little less if you cut through the busy Pratunam market. Thanks Norman. Really appreciate your help. Thanks for the prompt reply. My last visit was some 5 years ago. Is the traffic condition in Bangkok still congested? If my flight were to depart by 6 pm, I guess I need to leave about 3 hours before hand? I remembered there’s different colour taxis of which certain colour we have been asked to avoid because they tend to take you for long rides. Do you have any ideas? You definitely need to allow 3 hours for your flight. Traffic in Bkk is still bad. And considering your flight’s ETD, it becomes all the more necessary. As for the taxis, I haven’t used one for many years now. I’m very skytrain-dependent, unless I’m with my Thai friends who do all the talking and shortcut-navigations. Between Ecotel and Citin Pratunam, which is nearer to Baiyoke Sky? Are these 2 hotels new to any MRT? How long is the walk to the MRT from the hotel? I am contemplating between SILQ and Novotel Ploenchit. Can you please advise me which is better in terms of cleaniness and access to the shopping areas. Thanks Norman for the advice. Many people in Tripadvisor also talking about Terminal 21, i think this is a must go place other than Chatuchak market during my 5D4N trip. 4 years never been to Thailand, i think my pick will be Silq since shopping, spa and food are my priorities to BKK. hi norman! it will be our first time to visit Bangkok this August. we will be staying for 3 days only. Which hotel would you recommend ? We narrowed down our choices to Dusit Thani, Novotel Bangkok Platinum and Pathumwan Princess. Since our trip will be a short one, which sites are a must see for us? Was wondering which is better? Ramada dma hotel? Or baiyoke botique? Thanks so much. hello norman. your blog is a great help 🙂 hey, we’re planning to be in Bangkok for 4days. we will stay in The Cottage Suvarnabhumi. we definitely have the city and temple tour and Damnernsaduak Floating Market. any thoughts on the hotel? and any suggestion of the others must do things and must see places. maybe not very far from our hotel e.g. shopping area, how to get there, etc. thanks norman! God bless! By the way, Cindy, their rates are reasonable because the location is very far from downtown. If you want something near city center and still convenient and not expensive, check out Royal Resort near Victory Monument station and Abloom Serviced Apartments near Sanam Pao skytrain station. Hi norman! We’re travelling to Bangkok on june 17-21 arrivng around 7am, departing around 3am. So is it ok to get a 3night stay in a hotel? We’re a family of 5. My mom stayed at royal view Resort the first she went there, so we were thingking of staying in that place again. Will they allow us all in one room? By Just adding extra beds? Any recommendations? Its my first time to go to bangkok, so we want to go sight seeing, the temple tour is free from the hotel, bit i still want to go to damnoen saduak floating market and samphran elephant show, is it possible to go there in our own via bus? How ? Also, how do we get to chatuchack weekend market from royal view? And to mbk and platinum mall? Do you think we can fit a day trip to pattaya as well? Thanks in advance! Ayi, first things first. You can get a 3-night stay for your dates provided that :1) the whole group is fine with waiting for the check-in time of 2pm on the first day and 2) everyone is ok with just killing time in the hotel lobby or somewhere else after the 12noon checkout time. You can maybe request for late checkout but the best they can offer is up to 2pm only. If you see no problem with that (usually happens when there is an older person or senior citizen in the group), then let’s move on to Royal View Resort. The place is fine and a good value for money as long as you don’t mind the daily walks to and from the skytrain station at Victory Monument. If you want all 5 of you to stay in the room, then get their biggest unit – a suite. The standard ones can no longer accommodate extra beds. And even if you see that the size of a Superior room can fit all, hotel standards are strict with allowing more than 3 people sharing a normal room. Going to Chatuchak from Victory Monument skytrain station near the hotel is easy. It’s just 5 stops away or less than 20 minutes travelling time. About the Floating Market and Elephant Show, I am more leaned on recommending that you use a tour organizer (the hotel can help you) because it will save you a lot of time and effort. Besides, the Floating Market needs to be reached by mid-morning (around 9-9:30am) to enjoy the place, and that means leaving the hotel around 7am. From Victory Monument station again, MBK can be reached ny skytrain (get off at Siam Central Stn then transfer to the train going to National Stadium). Platinum Mall is a bit closer. Get off at Ratchathewi station, then walk from the corner of Petchburi going to Platinum Mall in the direction going to the right after leaving the exit stairs. Pattaya may not be enough for a day trip simply because the place is more alive at night. May I suggest going to Hua Hin instead? It is closer to Bangkok and more of a true ‘day’ trip – leave early in the morning then return at around 8-9pm. But you may be stuffing your itinerary with a lot of places outside Bangkok to go to than your actual vacation time permits. If only your last night was a complete one (instead of having to make it to a past midnight flight back to Manila), then that would have given you extra time to fit in all the places you want to visit. Remember, the whole afternoon till evening of June 20 will be limited to just going to the mall or idling your time away in the hotel lobby. Thank you Norman from the Philippines for all your help. All my accomodation is now booked thanks to you and i am so ready for this holiday :-). I am from Cape Town, South Africa. I really like The Key, but at the end of the day the bathroom is the decision breaker for me and SilQ wins in that department 🙂 even if it means its a bit more of a trek! And they have a nice package at the moment, 2nights with breakfast, Wifi in room and half day floating market tour for a total of 5000baht. if you dont mind me asking, where are you from? Hi Norman, sorry for being such a pest :-). I am just sooo glad i found your blog. I just stumbled upon another hotel that looks great, it’s called SilQ Bangkok. What are your views on this hotel? It looks amazing on the Internet and great reviews on TripAdvisor and the price is good as well. Hotel Capitol in KL was my first choice, but i will definately check out Bintang Warisan. Thank you in advance. SilQ Bkk is also okay. It’s deeper into Soi 19, though. By the way, are you from Thailand? The location should be ok for Chatuchak via skytrain. As for Floating Market (outside Bangkok) and the Temples (in the city’s old area), it doesn’t matter much. It all depends on your tour organizer. Hi Norman, i am so glad i stumbled upon your website! I will be travelling to Thailand next week (3 May) and have been frantically searching for hotels. The one hotel that has stood out the most for me is Citrus22. The reviews in Trip Advisor are all good and it is more or less in my price range. Would you recommend this hotel? I will only be in Bangkok for 2 nights before i move on to Phuket. Thank you for your speedy reply, much appreciated. Do you have any more hotel suggestions? Kingston Suites looks lovely, but a bit pricey for 2 nights stay. The Key is not bad, and if there is nothing else you can suggest i will go with it. Would you recommend booking online or just winging it? Also, can you perhaps recommend any fairly priced hotels in Kuala Lumpur? Rasheeda, you can also look at Sacha’s Hotel Uno. But The Key Bangkok would be a good choice. In KL, my fave budget hotel is the old and quaint Bintang Warisan Hotel which has a superb location. Otherwise, Hotel Capitol would be a just alternative. Booking online would be preferable since the rates are lower than walking-in. may i just say what a helpful , informative and comprehensive blog u have!! My name is Deepak and im traveling to BKK for the first time…i land in BKK end of april and im put up at the Intercontinental for a week..since this is my first time i wanted some tips on the Do’s and Dont’s…as for shopping, im looking for stuff not too high end and not too cheap either…please guide me on which places i can visit (basis my location), because i am a shopaholic! 🙂 my total shopping budget would be around 1000 US $…Also how do i go about getting massages (hopefully the ones with happy endings or beyond?) without being taken for a ride… any suggestions and Do’s and Dont’s for the same?? Could you kindly help my sister and i decide on the hotels that we have narrowed down for our trip in mid may for four nights. And perhaps recommend some good eats around that area. Our concerns are safety, convenience, room design(trendy or resort type), tasty street food, bargain shopping and the common tourist attraction in thisorder. The hotels are as follow, Sacha’s Hotel Uno, Dream Hotel, The Key Hotel, Ramada Encore Hotel, Aspen suites,Park Plaza, Ramada Encore and Furama Silom Hotel. Or any other better hotel that you might recommend (max. 1800THB, Sukhumvit area). ps: Are there any areas that we should be concern about considering mid may erratic weather and low tourist season. If you must stay in the Sukhumvit area, I recommend Kingston Suites. Rates are well within your budget. Among the other hotels in your list, I would consider The Key. If you want to stay in the Platinum Mall area,go for Novotel Bangkok Platinum. I am traveling to BKK on 15th and returning 19th on a shopping trip with my wife. Already has a non paid email booking with Aone inn. Can you advice me if it was a good choice as my plan is to shop at MBK, Platinum mall and Pantip plaza and a tour around chtuchak. I am a Budget traveller so think of the cheaper options and please advice on skytrain ticketing options. Which do you think is the best in terms of location, transportation accessibility, comfortablilty, amenities. Overall, which would you prefer? Between the two, I would pick Residence Rajtaevee for sheer convenience. 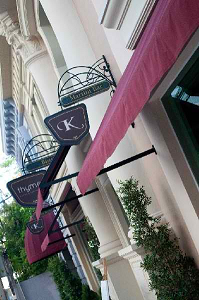 It is near the skytrain and Pratunam and Platinum Mall and has a short cut to Siam Paragon at the back. Citadines has newer units, but offers poor breakfast. It is more appropriate for business visitors than families. If you don’t mind, I will further ask for more assistance in the future if necessary. Kindly tell me how to get to these area please, if possible by train? Is Residence Rajtaevee walking distance to Rachatewi BTS and Siam BTS? From the airport, it’s best to take a taxicab. After exiting customs, go to the outside vicinity of Exits B&C where you can find the taxi stand queue. Just tell them which hotel you’re going to. Be prepared to pay somewhere between THB350-400 per cab per way. And also, pronounce your hotel name as ‘Residence Rat-cha-te-vee’ on Petchburi. From your hotel, it is best to take the taxicab again going to Grand Palace. The driver should know a shortcut despite the traffic. Once done at the Grand Palace, you can try using the river taxis nearby going to Wat Po. This will allow you to see Bangkok via the Chao Phya River. From your hotel, the nearest skytrain station is Ratchathewi. Siam BTS is farther. The shortcut to Siam Paragon should help but this access road is available only during mall hours. Platinum Mall is definitely manageable by foot from your hotel. Just a 5-7 minute stroll. Khao San road is near Grand Palace so you should know how to get there after a first visit to the area. Chatuchak Market is easy. Just ride the skytrain at Ratchathewi. You will need to take the line going to Mo Chit. After just 6 stops, you’re there. Remember, it’s best to go there at 8am – 12noon. After lunch is unbearably hot and humid. Also, never trust tailors offering to make you suits or corporate dresses at a fraction of the original cost. Unless the tailor is based inside an expensive hotel or a nice shopping mall, avoid so as to spare yourselves of disappointments. Thank you!!! This is very informative! May I humbly ask for your recommendation / suggestion ? I’ve been searching for a hotel/inn/apartment type for us, a family of 6 (all adults) who wants to stay all together in one room. Do u have one in mind? Our budget is Php5000/night. Hope I’m lucky to find one. Regarding the tours do you have any recommendation on a good tour guide/company? And would you suggest that we book before we arrive or should get there and then book via the hotel concierge? The tour desk in your hotel is a relatively safe bet to book these tours. Should you have any complaints regarding the service, you can easily tell them direct or through the concierge. Thanks very much for your informative blog. We are planning a trip to Bangkok in Feb and are currently looking at accomodation and sightseeing tips. Your advice on accomodation based on the above two hotel’s price range and sightseeing is much appreciated. Thanks a million for taking the time to advice us. B, both your hotel choices are fine. But let me muddle your mind a little bit more. If you will read my blog tomorrow (January 15) about the brand-new Novotel Bangkok Platinum, I shall whole-heartedly recommend this as another option. Its’ location is not far from Arnoma. What’s important is that all your choices are skytrain-friendly. As for the day tours you are planning to take, the Chao Phya dinner cruise is something you can plan and do without the help of a tour company. However, the other two is better left in the hands of the experts since they are happening outside Bangkok, and you wouldn’t want the hassle of traveling to these locations without the assistance of a local. As for the Grand Palace, you can take a cab going there since it’s just within the old part of the city. Happy Holidays! Thanks for the feedback! Last time I was in Bangkok it was on a backpackers budget and I stayed at Tavee Guesthouse (nice and cheap, but way out there!). This time I’m with family, so the budget and hotel needs changed quite a bit :). I’ll be booking with Grande Sukhumvit and probably Arnoma 😀 Thank you!! Hi Norman! My friends and I are booked for a BKK trip on Mar. 8-11 and we do not have any idea as to which hotel to stay in. Your site has been a great help and I sent an email to some of the hotels you mentioned above. We plan to stay at Sukhumvit though, what do you suggest for a group of 6? My name is Suzanne from Kenya. I will be travelling to Thailand next month and I have been seriously following your blog on everything Bangkok. Problem is im trying to reserve my hotel for when come to Bangkok next month and I can’t seem to get through to them on the email on their site. I would love, love to stay at The Key Bangkok. Would you be kind enough to try and link us up, just so that I can be able to contact them via email and make my reservations? then check in again 23rd-25th…. The gold key room 2 persons sharing. I know this is a huge imposition but i don’t know what else to do. My alternative is Salil Hotel Sukhumvit http://salilhotel.com/thonglor/ what are your thoughts? Glad that’s settled, Suzanne. Both hotels may be situated just three Skytrain stations apart, but each one offer a bit of contrasting differences, with Thonglor being a long stretch of new high-end boutique shops (like Playground) and trendy restos. Sukhumvit (from Soi 2 to Soi 24) is a veritable tourist zone traversing high-rise condos for expats and long-term dwellers. Good nightlife and some shopping abound as well. Have fun! Hello, Norman. I am plannning a trip to Bangkok by this September. I come through this hotel, City Point Hotel ( http://citypointhotel.com/ ) and it is stated that it is close to BTS Sky Train station and MRT subway station. Did you get through this hotel before? Is the reviews posted by tripadvisor’s website is trustable? I will really appreciate it! City Point is a new boutique-style hotel in the Asoke junction so it is walking distance to both the skytrain and the subway – a good plus. Nightlife is also conveniently located from their address. I haven’t stayed with them but it looks okay to me. Also, the reviews in tripadvisor have been relatively reliable, especially if there’s a lot for one particular property. Gina, it is best to avail of the Damnoen Saduak Floating Market thingy at the Tour Desk of your hotel due to sheer convenience. The place is about 100 kms southwest of Bangkok so you’ll be leaving Baiyoke Sky at around 7am to arrive there at the best possible time. It is a strictly morning affair so your guide can combine it with something for the afternoon. thank you norman, i think we will go ahead with the bloom apartments. any luck with Phuket around the Patong area, pref something close to the beach. i had a look at palmyra patong resort – any idea what this one is like? Becky, Palmyra is a smaller boutique style hotel, closer to the main part of town. But since it’s space and the beach you’re after, I can also recommend Deevana Resort which is a much larger resort with 2 separate wings, the spa wing being the best, larger pools and facilities, it is about a 10-15 min walk to main part of town but plenty of dining on the way. I can also recommend Salathai Resort which offers very good prices. One more recommendation is Blue Ocean Resort. Hi Norman, just me , thank you once again for all your help and advice! i have finally managed to book and confirm all our accomodations 🙂 last thing i need to really do now is arrange our flight from bangkok to phuket (have particular dates we need to fly on as i have arranged accomodation already) – is it better to wait until im there to book or do all this before hand? the same goes for any tours we decide to go and do..
Becky, unless you want added flexibility during your actual vacation, I suggest that you book the flight to Phuket now since your accomodations on the beach are already reserved. You can reserve the Bangkok tours once you’re in the city since they really don’t mind last-minute joiners. One of the advantages of staying in just one place (that is very near the skytrain) is the fact that you can get better rates with accomodations. Besides, should you experience staying at the spacious units of Abloom, you will be hard-pressed to find a similarly-sized place in the downtown area at their excellent prices. Thanks norman! will check them out. Do you have any tips on where to eat and what to do? we will be staying there for 4d 3n. At Platinum Mall itself, the food court on the top floor is worth checking out after hours of non-stop shopping. And in the new annex building of the same, there is a small Thai eatery (the name slipped my mind while writing this) on the 2nd or 3rd Floor (extreme left corner from the escalator) where quick Thai dishes are served in a friendly atmosphere. It’s easy to spot this one because it’s the only eating venue on that floor. At Central World (walking distance from Pratunam), you can eat at Taling Pling Thai Gastrocafe on Level 3, Atrium Area. Yummy food, especially their various fried rice offerings. If you want to treat your mom to a very special dinner, head over to Baiyoke Sky Hotel (again, walking distance in Pratunam). They have a buffet on the highest floor where you can visit the observation deck afterwards. The views of Bangkok at night are awe-inspiring. Had booked the Loy Nava Dinner Cruise in a week’s time but have just heard the boat will be in dry dock for that period- did the dinner cruise last year and loved it – I’m trying to book for the 13th June with them but have not had confirmation yet – leave tomorrow for Thailand !!! oh and i forgot to mention that we’re also on a middle-range budget. You can also look at the newly renovated rooms of Residence Rajtaevee which is central between Platinum and the skytrain. It also has a not-so-secret shortcut to Siam Paragon. Enjoy! of the time since she gets tired very easily. p.s. is centre point petchburi any good? Hi mar! Why not check out Grand Diamond Suites which almost neighbors with Platinum Mall? Rates should be within your budget. And since your mom tires out easily, the proximity will be a welcome relief. Centrepoint Petchburi is also worth staying in but it is still at least a 5-7 minute to Platinum. Do consider the Bkk heat which can be harsher than ours. Also, Chatuchak should be visited between 8-11am. Your mom won’t stand the heat/humidity. Well, di, thank God the protests are over. Hey thanks for getting back to me so soon! wow its really hard to decide when we’ve never been to either.that must be what she was recommending and that’s prob why nothing was coming up when I was trying to find info on that area, because I had it totally wrong! Do you have anything good or negative to say about the Khaosan area? Are you saying its not really near any of the fun? I may go with booking in the Sukhumvit area, possibly the hotel you suggested the first night then maybe looking around to see where we might want to stay the other nights. Decisions…decisions. I suppse I have some time but…so if you do have some suggestion for the Khaosan area I would glady take them! Amber, my only gripe with Khaosan Road is that it is not walking distance-close to either the skytrain or subway. But if it’s fun you’re looking, they have loads of it since you’ll be in a place where people your age (I assumed that you’re in your 20s-30s) conglomerate. I will get back to you for my Khaosan suggestions shortly. Hi Norman! your blog is great! my boyfriend and I are headed to Bangkok in June, the planning is kindof up to me so I’m looking for advice. We’ll probably be in Bangkok for 3 or 4 days before leaving off to Chiang Mai. I’m trying to book a hotel for the first night since we get in around 11pm then maybe if we like it stay there for the remaining few nights. Anyway a friend recommended staying on Kaulsen Road? which what Im getting from online is maybe the same as Sukhumvit? and as you know they’re are hundreds of hotels! What is important to me is sounds like somewhat close to the train, close to nightlife, good food and markets. We’re planning on going to visit the Grand Palace and other daytime activites also. mmm probably looking at around say $50-$70 a night ( is that crazy cheap?)Sooo…. any advice would be much appreciated! Also if you have anydive on how to travel around, like up to Chiang Mai and down to the Phi Phi Islands, that would be awesome too! I”ve been hearing little planes like you can buy a voucher with Thai airways? Thank you so much!! Hi Amber! Your friend must be referring to Khaosan Road which is a predominantly backpackers’ haven, i.e., cheap accomodations that equal cheap dining and drinking options as well. It is so unlike Sukhumvit which is more of the mid- to upscale area where big hotels (both chains and independent) thrive which also translates to a relatively more expensive nightlife. However, dining options can be had at cheap prices because of the many smaller food joints in every corner, plus the street stalls that sell yummy fares. Back to Khaosan Road, proximity to the subway is not its’ best suit but it is close to the Grand Palace, the Chao Phya River plus the Temples. If you do get a place that is walking distance to the Hualamphong subway station, that would be fine. But then again, that’s situating yourself farther from where the real action is and closer to Chinatown. Check out the Thai Airways website because they offer special fares for domestic travels from time to time so that would be a good option. There is also Thai Air Asia to check out, plus Bangkok Airways. Thx for your reply Norman. I’ve look into it, which one do you think is the best location? Hi Norman! Do you have any suggestions for me? I’m looking for budget hotel that suitable for kids. I’ve look aphrodite inn and all seasons siam but still can’t make up my mind. Thanks. Agung, I would suggest that you stay where the rooms are spacious (where the kids can roam freely), the price is value for money and near the skytrain plus lots of dining options and shopping as well. Check out Royal View Resort Bangkok. Their superior rooms (35 sq.m) go for just a little over THB1,000 a night. You will need to book with them directly to get the benefits of free breakfast & wi-fi. Also, the place is right beside a lovely park where you & the little ones will enjoy walking & playing. A 2nd option will be Residence Rajtaevee where you can get the family room complete with bunk beds for the kids. The price is roughly within the same range as Royal View. Feel free to ask if you have other concerns. Agung, I would suggest that you stay where the rooms are spacious (where the kids can roam freely), the price is value for money and near the skytrain plus lots of dining options and shopping as well. Check out Royal View Resort Bangkok. Their superior rooms go for just a little over THB1,000 a night while the big suite for just double that amount. You will need to book with them directly to get the benefits of free breakfast & wi-fi. Also, the place is right beside a lovely park where you & the little ones will enjoy walking & playing. A 2nd option will be Residence Rajtaevee where you can get the family room complete with bunk beds for the kids. The price is roughly within the same range as Royal View. Feel free to ask if you have other concerns. Many thx Norman. Btw, your blogs are really helpful. Travelling with kids? I’d pick Arnoma because it is in a livelier, family-friendly environment. thanks so much for the information..i will keep in mind all of your advice..have a great day! which is better transportation to take in going to grand palace and wat pho?skytrain to siam then take the bus or take chao phraya express boat?distance wise (walking esp.) or soaking in the sights along the way? The Chao Phya river ferry is a cooler way of temple sightseeing. On the other hand, there’s 3 of you so using a cab would prove more practical when visiting the Grand Palace. Also, if you are planning to walk from one sight to the next, make sure that you are wearing comfy shoes and don’t forget the proper attire for the venues (no shorts and sleeveless tops for ladies). You can also do a reverse route by boarding the skytrain (Silom line) and getting off at the Saphan Taksin station (last stop) where you can take the river ferry to check the temples and then make Grand Palace your pitstop. 2) where to shop? jj mall in chatuchak or in fashion mall/pratunam wholesale market? shopping will be on our second day. someone told me that shopping during the afternoon is cheaper than in the morning, is this true? any more advice on the first time travelers in bangkok in a budget? how about regent silom hotel?the location is also near bts as what i seen online but is the hotel any good? Myra, I wouldn’t recommend Regent Silom for an all-female group like yours. The place is literally surrounded by the red-light district. If you want to stay in that area, Inn Saladaeng would be a better choice. Going to Grand Palace & Wat Po on your own? I would suggest getting a cab to the palace and from there, take a Chao Phya river ferry where you can check out more temples. Hi Norman! 🙂 I saw your site while searching for some info regarding Golden House VIP in Bangkok. Can I ask if the area is safe for two female travellers? I mean, we like to walk around at night to window shop and find places where we can have our midnight snacks. 😀 Also, is the internet there fast? My companion would be working for a few hours while on vacation so a reliable internet connection is a must. Hi kay! Golden House is in a safe area. That’s the least of your concerns. However, I cannot confirm about the fast internet or if they have already upgraded by having in-room access. If you’re booking with them by email, better double check directly. If free & reliable internet is a must, then Lub D Bangkok Siam Square is a good alternative. Thanks for dropping by! Sorry, I just have to ask this question – if we go for Aphrodite – on its website I saw that it’s pretty much like Golden House in terms of it being a low-rise structure, how’s the noise level in the rooms? Do the noise from the streets carry to the rooms? It’s not 100% noise-free but it was manageable. Do you want a really good deal, Jackie? Go to the website of Novotel Fenix Ploenchit (accor-asia.com) and their opening specials are very attractive. It’s just a skytrain stop away from Chitlom, still very near the malls. Thank you for replying. You’re right, location is important to me as well. My previous trip to BKK, we stayed in the Pratunam area and I didn’t like the area at all and we kept going toward the malls everyday anyway. Golden House seems to be a perfect fit. Reading other comments in this thread, I saw Aphrodite Inn and found out it’s right next to Big C, Arnoma. Between Aphrodite and Golden House, which one would you choose personally? 🙂 LubD seems nice, but from their website, it seems there are no elevators, only stairs? Can’t do w/o one as I’m traveling with my elderly mother. And a private bathroom is a must. Let’s put it this way, Jackie. If I were travelling solo, I’d go for Golden House. Otherwise, I would opt for Aphrodite Inn or Arnoma if my mom and siblings were with me. And yes, Lub D Bkk won’t be good for elderlies. Sorry If I keep adding, but anyway I’m almost sold on Golden House, but looking at the website and prices of the other places I mentioned, they are almost the same price with Golden House but their facilities are better-looking, at least online. Granted, Golden House seems to have the best location (near the malls and a BTS). My budget is preferably not more than 1,800 THB per day, the lesser the better of course. It really depends on how important the location is to you. I must admit that the facilities of other similarly-priced accomodations look better but location is king for me. If you’re looking for something new, why not consider Lub D Bangkok Siam Square which I have blogged recently. This one has an excellent location as well, very near MBK and the skytrain. Hi Norman, I was researching about Golden House VIP Guest House and was directed to your site, among others. Aside from the great location, is the area of GH safe? How about the building itself, is it safe with ample fire exits and security for guests? How about the room/toilet? Clean enough? The location of Golden House is safe. No worries about that. The rooms (plus toilet & bath) are basic, i.e., nothing to write home about. They’re clean alright. It is a low-rise structure and the layout is quite simple. I felt secured when I stayed there in the past. Keep in mind, though, that this is an old property so adjust your expectations. I’m going to Bangkok on November and I have already booked Aphrodite Inn (refundable) but recently found a much cheaper deal for Arnoma Hotel (non-refunadable). Angie, Arnoma & Aphrodite Inn are practically neighbors, with only the Big C Mall/Supermarket in between so location is not an issue for either, especially now that Central World has already re-opened. The big difference is their size. Arnoma is a full service hotel, while Aphrodite Inn is small and relatively more personalized in service. I’ve stayed in both and my choice depends on who I am traveling with. When going solo, I book with Aphrodite but when visiting with family, Arnoma is more preferable. There is a very good foot massage outlet in the ground floor of Big C near the exit door facing the side of Arnoma. The food court on the higher floors here is recommendable for cheap yummy eats. Have fun! Angie, cleanliness is a relative thing when it comes to hotels. I haven’t encountered dirty rooms in either during my separate stays. But a friend wasn’t as satisfied with Arnoma on one occasion but saw improvements the next time. You might wonder why she still opted to stay with Arnoma. It’s all about convenience. Besides, it’s closer to the skytrain by about 300m. Asia Hotel is another good choice. Not so expensive and have the sky-walk way to get through the sky train,it’s very convenient . It located near to Siam center and MBK. You’re right, seth. Asia Hotel has a good location. I was just focusing on the main gridline stretching from Chitlom to MBK. Would like to seek your advice. Am planning for a short 4D3N trip to Bangkok with my friend. However, we’re confused with which hotel to book, am stuck with either Grand Diamond Suites, Baiyoke Sky or Arnoma. Location isn’t a problem for us, we are more concerned about the cleanliness of the rooms. Never stayed in any of the hotel before, read the review of them through tripadvisor, but they had a mixture of good and bad reviews. So could kindly advice us on that? Hi kimmy! Among your three hotel choices…. Now if cleanliness is the thing, and I assume you and your companion are not overly-fussy about it, then any of the three will do. But if I were in your place, I’d pick Arnoma or Grand Diamond. Polly, Citadines Sukhumvit 16 might be a little off from the activities you will be doing in the short 2 days that you will be staying in Bangkok. Narai should still be more convenient. You’re welcome, Polly. You will soon discover that 2 days in Bangkok is not enough to do a basic exploration of the city. But just to add up to your already-filled itinerary, street food-tripping is something you might want to consider. Street food in Bangkok is clean, cheap and yummy. Otherwise, if personal hygiene limits you to eating in air-conditioned food courts, the various malls have eateries in their basement or upper floors that are just as authentic and reasonably-priced. Enjoy Bangkok! thanks norman! your hotel suggestions are very concise. I appreciate that! 🙂 Hmm, given the itinerary above what more can you suggest for us to do in Bangkok for the rest of our stay? thanks a lot! hi norman! we’re planning to go to bangkok this july.is P2 boutique hotel ok for its location?i think it’s a new hotel in petchburi road. Hi jennifer, P2 Boutique Hotel’s location is convenient for shopping at Pratunam, Platinum Mall and Pantip Plaza. However, if you want skytrain access, the walk is more of a 15-minute hike (add 5 minutes more if the route is crowded or if you don’t do brisk walking) as can be seen in the map below. It looks deceivingly close to the Chitlom Station by passing through Chitlom Road but it won’t be easy on the feet, especially if you’re carrying shopping bags. The place is relatively new. A friend is going to Hongkong this month. Where can they stay in Kowloon. They are not first timers but they want to stay in a reasonable hotel like Benito. About your question on shops for plus-sized women, you will need to locate them inside Platinum Mall – with extra patience, of course. Most of the stores inside have big sizes but don’t specialize in them. You can also hop to MBK, but my bet goes to Platinum. About street fashion, the prices are roughly the same. You may want to check on the Thai baht’s currency exchange while there so you can make the corresponding conversions. What I like about Bangkok is that they are up-to-date with fashion compared to the rest of SEA. Cecilia, thanks for visiting my blog. As for your questions, Aphrodite Inn is not a bad choice in terms of location. No need to worry about the safety of an all-female group staying here. Central World is very near. You just need to cross Rajadamri Road from the hotel and you’re there. As for Siam Center area, you will need to walk an extra 10-12 minutes from Central World where there is an access to the skywalk from the mall entrance on the side facing the skytrain. Speaking of the skytrain, the station closest to Aphrodite Inn is Chitlom which is a 5 minute walk away if you pass thru Gaysorn Plaza. Big C which has a multiplex, supermarket and boutiques is practically a neighbor. I will answer your size queries in another reply. By the way, Platinum Mall is just a 10 minute walk from the hotel. Is Aphrodite Inn a good choice to stay for 3 adults female? How far is it to Siam area/ Central world and nearest skytrain/mrt? Or Asia Hotel would be better? Is Platinum Mall a good place to shop for women size UK 8 to 12? How about high street fashion in Bangkok, is it slightly cheaper or more or less the same as the rest of SEA? i dono that u stayed there lol..so i will be staying at inn saladaen..and it was my 1st time visit bangkok..so any advice and where should i go? Inn Saladaeng is a good, economical choice. You’re close to most everything with the skytrain just a short stroll away. Where to go? Tell me what your interests are and I’ll be happy to share some tips with you. But off my head, don’t miss doing the temple tour and river cruise. You should also make sure that you try all the local food available. Street foods are clean (unless your stomach is overly-sensitive to spicy food) as well as the loads of offering in the different food courts inside malls. The Patpong Night Market is close to your hotel, but I suggest that you do your shopping (if any) at MBK or the Chatuchak Weekend Market. hey norman isit possible that u could add me in msn so u can gv me some advice..
how was all season hotel bangkok siam? Hey Norman, I have seen your posts on Tripadvisor and Asiaweb and have alwyas found your advice to be spot on. I am going to Bangkok fairly soon and was looking at staying at the Unico Leela in an exec deluxe room. Any comments on the rooms which sound like they have been recently refurbed? Last time in Bangkok I stayed at the Grand Inn which is just down the road and was quite happy with it. Thanks, Norman for your help on my previous concern. One more week and we’ll be in BKK. One last concern, though. Where is it best to get our US$ changed? Airport? Malls? Banks? Thanks again. We have “met” a few times on the Asia Web forum, and I’m happy to find your own blog. Me and my wife and daugther stayed for a week in Bangkok in August. For the first time we stayed at the riverside area, which was pretty nice. First 3 nights at Hilton Millenium in an Executive Suite. Everything just five star. Excellent (except that the location isn’t the best, on the “wrong” side of the river). Then we moved to Chatrium Suites. A brand new hotel in the Dusit family. We have stayed in the Dusit hotels a few times so I had pretty high expectations. Reading the reviews on Tripadvisor made my expectations even higher. OK, Chatrium is new, but where is the 5-star quality (I would say 3+)? Well, maybe the pool. Really nice and probably the best view in Bangkok (maybe best view in Thailand?). When reading the reviews on Tripadvisor I get the feeling that there is something fake about these. Can people really find this hotel to be the best in Bangkok? I doubt it. So, Norman, next time you go to Bangkok, please make a visit at the Chatrium and make your own opinion about it. Looking forward to a “professional review”. Mats, thank you for stopping by my blog! Yeah, we did “meet” a couple of times over at Asia-Web Direct Forums. I appreciate your honest feedback about Chatrium Suites. I will stay there for a night or two the next time I visit Bangkok and will share my review of the same. As for Tripadvisor, I take the reviews with a grain of salt. It’s not easy filtering out the genuine reviews from the ‘not-so-authentic’ ones but gut-feel and experience always help me along the way. Nice to finally find a Pinoy who can help us in our visit to Bangkok in October. We are booked at Pathumwan Princess hotel. We are all first-timers in Bangkok and was wondering if it would benefit us a lot in taking the guided tours in visiting temples nearby. Or would it be best if we embark on our own? Given our location, will it be easy to go around? We are planning to visit Grand Palace, Wat Pho, Wat Arun and Wat Traimit. Can we do these temples in one day? hi , my friend and i are confused whether to book ourselves at INN Saladaeng or Grand Diamond? What do you suggest? A place where it will be easier for us to move around bangkok. My friend wants to make sure we go to chatuchak and suan luam bazaar.